If you’re a B.Ed. 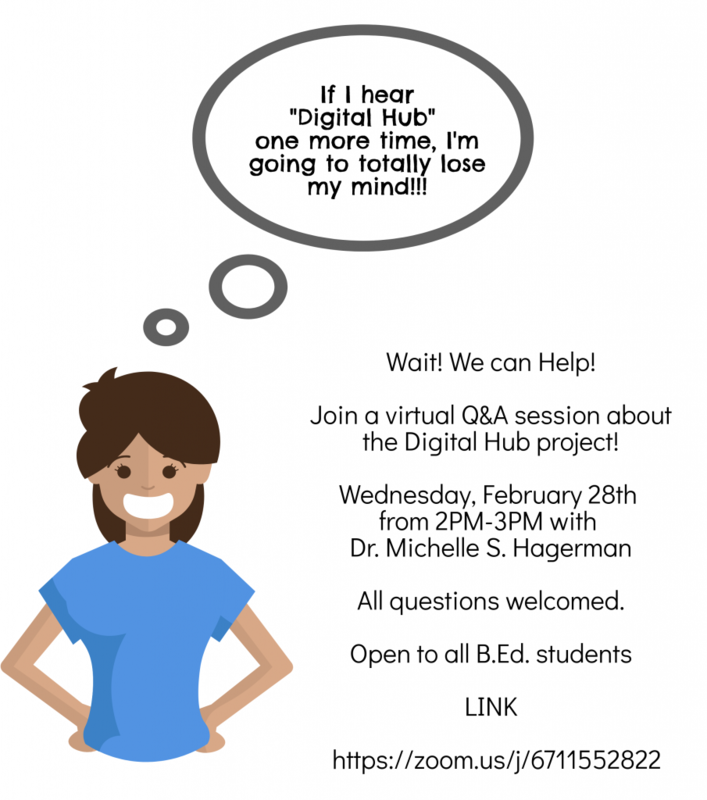 student at UOttawa designing a Digital Hub, but at this moment feel like you would benefit from a little guidance, and the opportunity to hear other students’ questions…please join our Q & A session on Zoom. When: Wednesday, February 28, 2018 at 2 PM Eastern time.